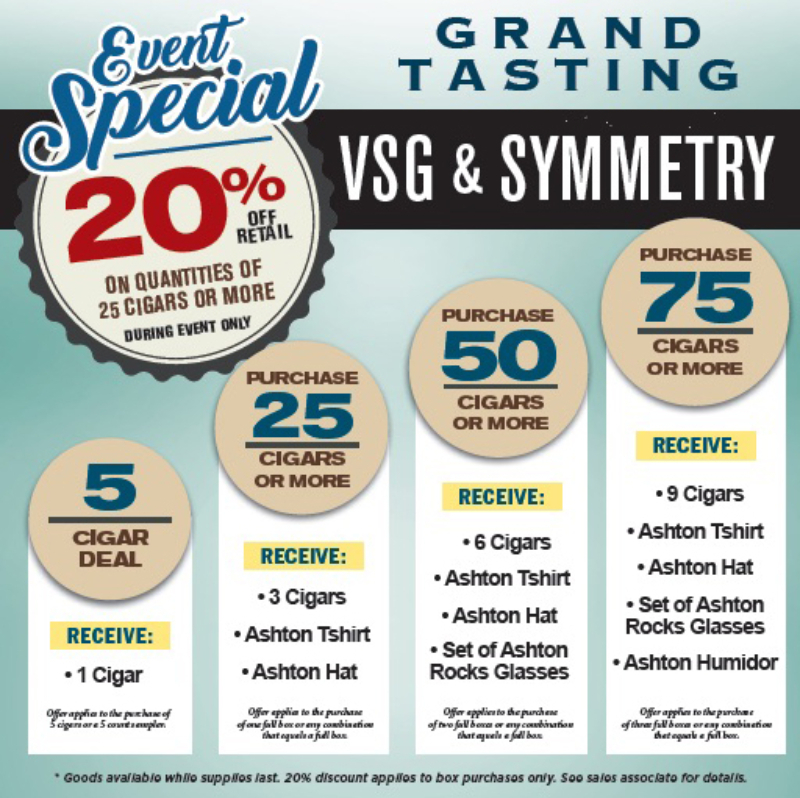 Welcome to the Ashton VSG & Ashton Symmetry Grand Tasting. The Ashton brand is world-renowned for premium, handmade profiles crafted in the Dominican Republic by legendary cigar-maker Carlito Fuente. Cigar lovers who favor full-bodied blends will find today’s tasting tailored to their palates. Demand for a full-bodied profile increased exponentially following the inaugural release of Ashton VSG in 1999. The recipient of more than seventy 90-plus ratings, VSG continues to deliver an unsurpassed, rich signature earning devoted followers on a global scale.